The 3rd Edition of Middle East Film and Comic Con 2015 (MEFCC), the largest pop culture festival took place from April 9th to April 11th at the World Trade Centre Exhibition Halls on Sheikh Zayed Road in Dubai. It is a platform that brings together artists, celebrities, music artists and exclusive exhibitors from all over the globe. JesikaMenon, Founder and Managing Director of the Gaia Centre was one of the exhibitors during the on-going event. 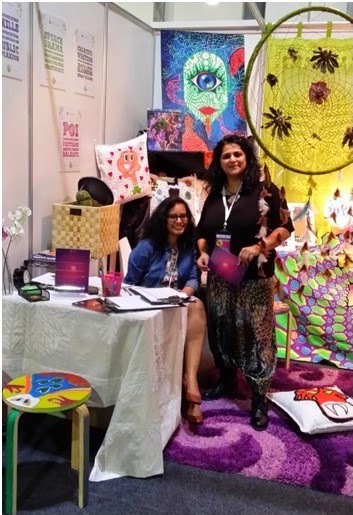 She was with her colleague Shahara at their eye-capturing stall, filled with all sorts of artworks, creative writing posters, painted cushions, hand-crafted dream catchers, hand-crafted works and paintings done by their very own students. Jesika is a drama, speech and communication skills trainer, qualified from the Trinity College of London. She has been training candidates from the age of 4 to 84 in various forms of verbal communication including Drama, Speech, Voice & Accent training to Communication Skills and Language. The Gaia Centre offers International Exams & Certification from Trinity Guildhall London. It also trains children in Art - encouraging creative expression among learners through its four centers across Dubai & Sharjah. The artwork displayed on the stall titled, “The Gaia Centre” at the Comic Con were all created by her students ranging from 8 to 16 year old who had been assigned to prepare their skilled artworks for the comic convention. 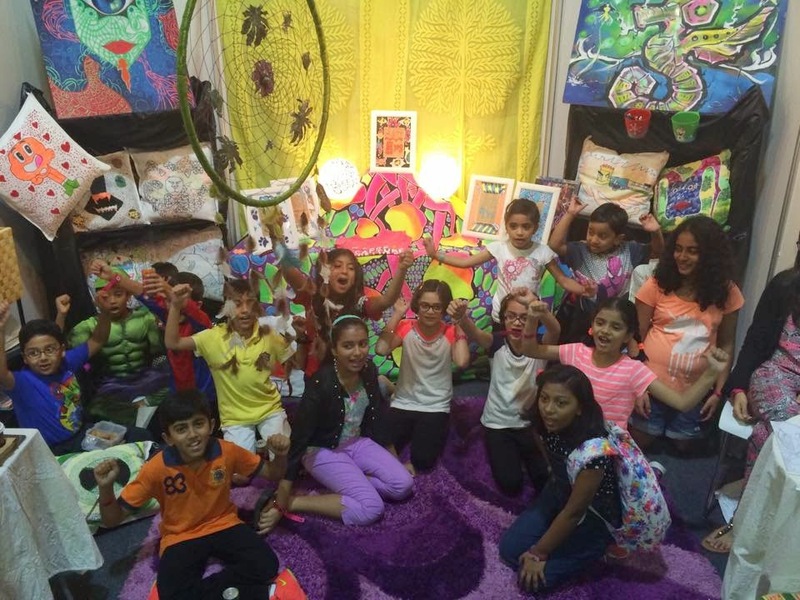 “We have students from all over UAE who illustrate cartoon-like figures and animations on posters and cushions. These artworks are then passed on to another category of our students who creatively make up their own imaginary stories,” says Jesika proudly. “Kids are like sponges who absorb and grasp things quickly. We can easily tap any creative information into their heads. They have a lot of talent which needs to be put out to encourage them,” she says. Jesika, her husband and partner Shahara have been working with children in the UAE since 2006 encouraging them to participate and evolve in several artistic fields and activities. They do not only encourage theatrical performances and poetry events, but are also musicians, DJ performers and electronic music artists. They have a branch in Dubai, on Shaikh Zayed road, where recently they have opened new workshops for adults on Saturdays teaching them how to be fresh and enthusiastic in life. They also have a branch in Mumbai, Vashi where every year children join them in their various activities. “The best way of starving off creative ossification is to keep doing different things. The kids at Gaia Centre also believe the same,” says Jesika firmly. Jesika is all pumped up for the next upcoming event which is going to be held near Lamcy Plaza this Friday the 17th of April starting from 11:30 am. It is an open platform to all visitors to come watch children from all over UAE, participate and perform in creative events.